In two weeks we will have a healing service at The Crossing. This service will be a healing service for emotional hurt, broken relationships, or anything else that causes pain inside us. 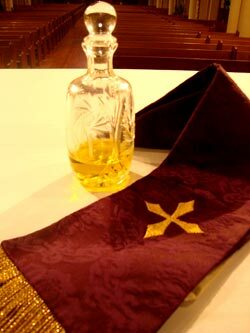 We will do a healing liturgy along with anointing. Sometimes we focus on the action or person that hurts us and not the result that festers inside us. Often times we confuse healing with curing and fail to realize that healing can happen in spite of the lack of a solution. Come and join us we experience healing, even where there is no cure. This entry was posted on Monday, October 15th, 2012 at 6:03 pm	and posted in Uncategorized. You can follow any responses to this entry through the RSS 2.0 feed.